Carlisle Flo-Pac hardwood block medium floor sweep. For sweeping fine to medium particles. General purpose and light industrial applications. Flagged border controls dust; heavy plastic center loosens dirt. Good for all around use on smooth and medium surfaces. Made of USA. Carlisle Flo-Pac heavy polypropylene sweep. Durable, tough, long-wearing crimped bristles. Perfect for street crews, construction, and other demanding work sites. BPA free. Handles are sold separately. 18" Block Size, 5-1/8" Bristle Trim. Made in USA. Carlisle Flo-Pac coarse/heavy floor Sweep with Stiff polypropylene bristles hold up on sidewalks, parking lots, and other rough surfaces, not affected by water or petroleum products. Hardwood blocks. Street sweeps are durable, tough, long-wearing; perfect for street crews, construction, and other demanding work sites. Will not absorb moisture, resistant to most chemicals, acids and oils. For economical, general scrubbing. Use as hand held unit or attach to telescoping handle to reach corners and ceilings. BPA free. Made in USA. SPC 107822/SPC150 hydrophobic nature makes it ideal for outdoor applications. Heavier and bonded to enhance strength and reduce linting. 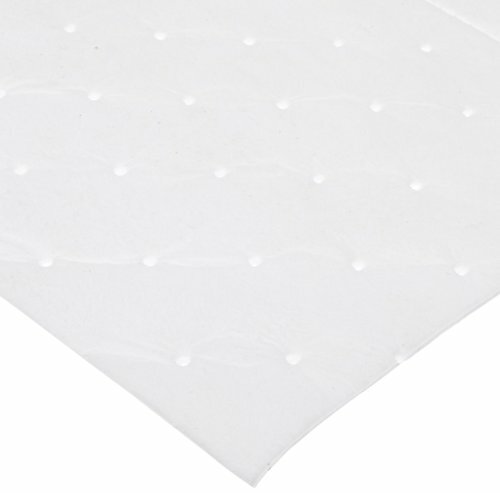 Dimpled and perforated, single-ply. Made with exclusive maxx technology. Hydrophobic nature makes it ideal for outdoor applications where lint is not a concern including spill response and clean up and off-shore or ship-board spills. Size is 38" height, 144' length. Oil only class. Applications are overspray leaks and drips, workstations, drums - liquid storage, outfalls and discharge ponds. Configuration is roll. Single ply dimpled technology. 70 gal/bale absorbency. Shipping weight is 35 lbs. Carlisle stiff bristles hold up on sidewalks, parking lots, and other rough surfaces; not affected by water or petroleum products. For the heavier industrial applications where water, sweeping compounds and cleaning solvents are used. Wood block. Handles are sold separately. Maroon color. 36-inches block size. 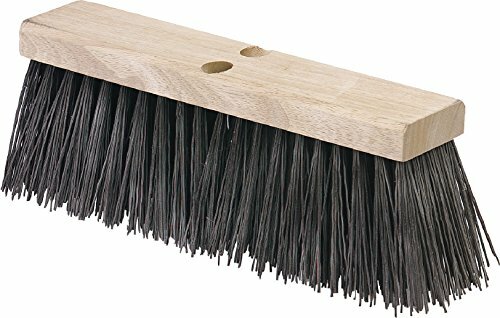 3-1/4-inches bristle trim. Made in USA. 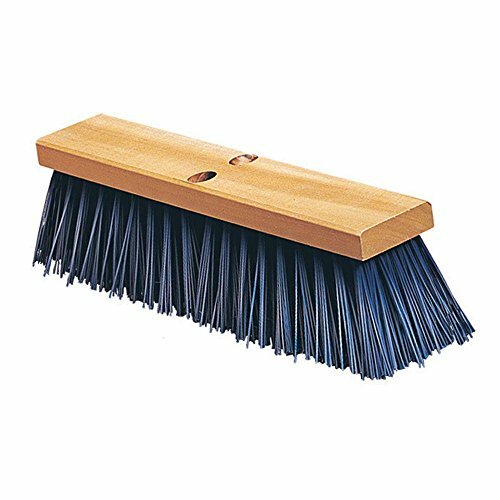 Carlisle Flo-Pac street sweep has heavy polypropylene bristle. 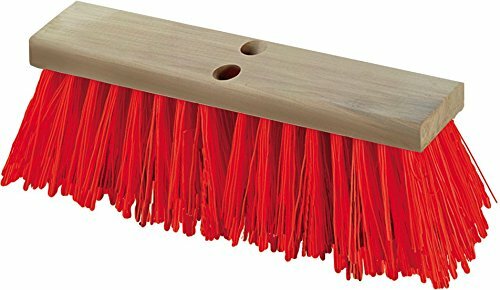 Street sweeps are durable, tough, long-wearing crimped bristles. Hardwood blocks. Perfect for street crews, construction, and other demanding work sites. Made in USA. 16-inches length. 3-1/2-inches block width. 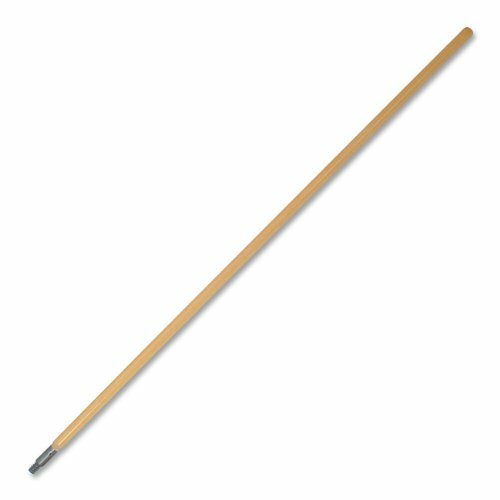 Genuine Joe GJO60468 Wood Floor Broom Handle, 1-1/8"
Genuine Joe floor broom handle. Features a wood block that is double-filled with a heavy polypropylene center and flagged polypropylene around the outside. Hardwood handle that provides sturdy workability. Oak color. Measures 1-1/8-inches diameter by 60-inches length. Copyright © Wholesalion.com 2019 - The Best Prices On Heavy Polypropylene Sweep Online.